Calgary, Alberta – Since 1973, thousands of families have chosen to come home to Cardel. Building on our success in the single-family home market, Cardel Lifestyles was created in 2000 to bring their signature quality and value to townhome and condominium buyers. From locations and pricing to specifications and designs details, every Cardel condo or townhome is designed with quality-conscious affordability in mind. The real value begins in Cardel Lifestyles communities all walkable, suburban neighbourhoods that offer a vibrant mix of shops, restaurants, schools, services, greenspace and recreation opportunities. Easy access to major roads and transit is important too. Convenience and lifestyle take centre stage. Cardel townhomes and condos are an attractive investment. Cardel works with top architects to create impressive exteriors and innovative designs that complement each community. 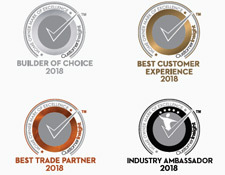 The superior quality and attention to detail offered offered are made possible by a fine-tuned network of top consultants, tradespeople and suppliers. Building high-calibre homes is not just about craftsmanship, it is also about sourcing the right materials at the right price. Every Cardel product is built to give customers top value. There is a reason why Cardel Lifestyles is one of Calgarys largest and most recognized condo and townhome builder, and it all comes back to great value in a great home. 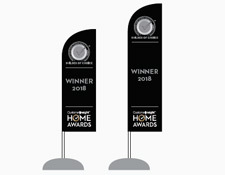 Being recognized as one of Canada’s Best Managed Companies means our customers have one of the country’s top homebuilding teams on their side. Take comfort in a highly tuned process every step of the way, from design to building and beyond. 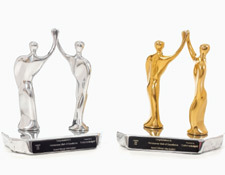 50-149 Possessions, Multi-Family, awarded by CustomerInsight and the Professional Home Builders Institute (Panorama West) The New Homebuyers Choice Awards are based entirely on customer reviews collected by CustomerInsight, an independent customer research organization. 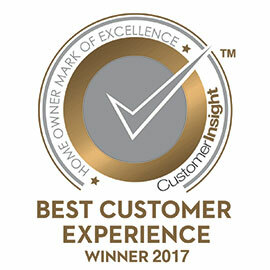 Our customers gave us an overall experience rating of 90.3%. That’s over 14% higher than the industry average. 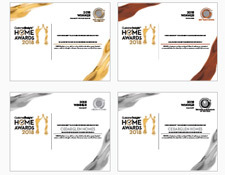 Gold Winner, Alberta Multi-Family 2015 The Home Owner Mark of Excellence (H.O.M.E) is a third-party certification program for new home builders who achieve a superior rating for customer satisfaction, as rated by their customers. Easy, I got what I wanted. Mark is pleasant to work with. The Cardel representative was very informed and positive. She was very knowledgeable of the property and surrounding neighborhood. It's all good. Thanks, CARDEL. We are particularly appreciative of the service and commitment from Amanda Goodman in Customer Service, and Tim, with service maintenance and repair. We are also very satisfied with the hard work that Nadia provides in cleaning and maintaining the cleanliness of our building. As well, the snow removal service has been exceptional! I like it here. I like everything here. I am thoroughly impressed with Cardel. Dave is great to work with and the repairs done in my suite were above and beyond. I had removed a shelf in my closet and they patched up the holes and painted.... they didn't have to do that. The place was perfect after they finished their work. Amanda is very accommodating with scheduling times when I need help and is very professional. Overall, Dave and Amanda are a great representation of Cardel. My experience has been phenomenal and I would recommend anyone to buy a home to Cardel. The only complaint nothing to do with Cardel But there is a playground zone right on Cranston Gate (we are in the 2000) and I am facing South which is looking at Gate - this winter the snow built up on the hill the kids were sliding right down to the street I wrote to the police twice. Where they put their vehicle its visible. If they came at 7:30 in the morning they would see many cars. Very dangerous. We were called by the Calgary Harold asking about Cranston Ridge and my wife told them its the best place ! they sent a photographer and took some pictures and apparently it is suppose to be in the letter that comes with the Herald sometime soon. Down payment installments spread over a longer period. The sale process was great, expect for when it came to “offers” being offered. In our experience, Cardel was offering sales incentives to the first 10 buyers, we were part of those first 10 buyers and these incentives were not offered, we had to ask... We are just at the very start of construction, so we can not comment on construction experience. When we first moved in we found out they reversed the condo but not the patio sliding doors which should be on the short wall and not the long wall. We have our furniture on the short wall and it really did change our lives we can see all the people coming down the stairs. Other than that when I had a problem they have been here quickly. They fixed the sink from the countertop they took responsibility and I appreciate that. The trades finally fixed the dish washer but it broke down again he could not figure what was wrong with it and it took them awhile to fix but finally it is fixed. Everything was fine. Snow removal could be better it takes at least 24 hours to remove snow and they do not do the parking stall it was not ploughed ever they will do the main road in and out not the actual stalls. The choosing of up grades. Found it very long. Computer very slow. I would definitely speed up the completion process, but that is not your fault. More options on lighting, especially over the island. More standard options. Any issues were fixed right away and followed up with. I picked this condo because Cardel Lifestyles they sponsor our company - These ratings are based on my 6month warranty. There was no follow up at the 1 year and the patio door still needs to be caulked. The kick plate in the kitchen dishwasher is unfinished its like raw wood. I just noticed that a month ago. Overall very happy with the builder. All the repairs were don minus the floor. There are still some gaps in between. It was not repaired properly. Special comment for Amanda and the service tech Dave Barton. they were extraordinarily good. Amanda was quick to respond and Dave was tremendous. He fixes things because he is there and wants to fix them. They might no be warranty issues. He saw some extra spots that needed touched up with paint and he did them. He is well spoken nice man. Amanda and Dave are worth their weight in gold. Overall it was a excellent service that they gave me. When I phone they deal with the problem right away. I wish it would have had a pantry and linen closet. We don't have enough space to store our things. Dave and Amanda were exceptional when addressing our concerns and warranty repairs. The only problem we have had is with Zen on their end with customer service. It has taken two months to receive our final appointment for our cabinet adjustments, after being included in an email that wasn't very professional on their end saying that we had already spoken in length (Matt has never contacted us previously) that the adjustments should not be covered under Alberta home warranty but they would make an exception for our unit this time. It also took over a month for Danielle from service at Zen to contact me for my first appointment in which she also called me to cancel the day of the appointment after the time period that they were supposed to arrive saying that the service technician has had car troubles and that he wont be coming and didn't even apologize after I took a day off work and waited for them to arrive. Unit was purchased after construction completed, there some answers during the construction phase are not applicable in my circumstances. Although I'm a new unit owner, hav been very pleased and impressed with all the professional and personal responsiveness by the Management Company and the Customer Service Team Lead (Mike McNally-Soucie) at Cardel. The only constructive criticism I have is with the underground parkade & the cement pillars which tend to present a challenge when parking. Would prefer tp have the parking stalls a bit larger. All of the Cardel Lifestyle employees have been very professional, friendly, helpful, knowledgeable when helping me with my move to my new condo. I have purchased other condos and houses over the years and this has been the best experience. It was like a really nice family was looking after my concerns and it was always like it was on the top of their priority list which I am sure was long. I was made to feel I could pick up the phone and call them anytime. I have mentioned to numerous people that Cardel is a great company to build their homes. We were very impressed with the knowledgeable staff including that of the contractors, very professional in every way. Everything was done in a very professional manner and on schedule. A very special thank you goes out to Judy-Lynn Lavelle of Cardel's Sale Centre, who was very helpful in explaining the process to first time Condo buyers. Her professionalism and expertise were greatly appreciated. I was meaning to write a review on Judy (Sales) and her staff. We were completely happy with the service that we received during the time of purchase until the date of possession. We stopped by quite a few times with questions and they were answered promptly with total accuracy. We never felt like we were bothering her and if she was busy with a client her staff was also very helpful as well. Can you please forward this information to the appropriate people. We have built other new homes but this was a very pleasant experience. I would definitely recommend Cardel to friends and family because of the service received. Service and supports were completely outstanding. I just wish Cardel have provided me a blinds for my sliding door and 2 small windows. Thank you and maintain your good service. I would like to mention that Darryl Solly was the best sales representative I've ever dealt with. He made the entire experience with Cardel so wonderful. He was very friendly and professional. I've dealt with other builders in the past but this experience has been the BEST! We worked with Darryl for over 2 months on my condo due to unforeseen issues but Darryl was so patient and understanding. Dave is great to work with on the fix ups around the condo. He was on time for the appointments and always followed up to inform me of other trades. He checked on us on my moving day to ensure everything was going well. Everything is great as it is. Overall, great experience at all levels. Great people. Would have liked different bathroom sinks options. Plastic toilet seats seem cheap and difficult. Overall I was satisfied doing business with Cardel lifestyles especially Brad Logel back in 2013 and Darryl Solly afterwards who was very professional and helpful. Case in point I purchased 3 units and looking forward for more when budget allows. Overall I am delighted with my purchase. I love living in Sage Hill and the condos look great from the street! Landscaping is lovely and the property is being well maintained. I feel safe in the building, even though we had a break in to the garage of building 3. I still enjoy the layout of my unit and the functionality of the rooms. I am a little disappointed in some of the interior features though. A couple kitchen cupboards have come off the hinges and one cupboard still doesn't close properly. The paint is coming off the tub in the main bathroom and the light fixtures in the bathrooms are simply cheaply made - we have to crazy glue the glass piece to the metal piece every time we remove them for cleaning! The walls are soft!!! I hung up some towels on the towel rack and my fingernail dug a hole in the wall - that's pretty soft!!! I understand these are mainly minor complaints and the good does definitely out way the bad, so overall I am happy. The next time I clean the lights though, if I have to do any more gluing, I am hoping to have those replaced without a fuss - thank you! Amanda, Tim and Mike from Cardel were absolutely amazing! They were all so very helpful with everything I had to call/email about. They made all appts go smoothly and if there was a snag(timing with a few trades) they were quick to fix the issue so my time wasn't wasted. Hang on to those three!!!! Cardel Lifestyle Manager, Daryl Sully provided exceptional customer service, his caring attitude made us a decision to purchased our condo. The overall design of the condo is comfortable and good, we enjoy the overall purchase experience. The biggest complain that we had is the fridge which we have missing parts when the day we moved in and still not fixed. I previously had a very negative experience with a condo I had purchased so I was sceptical and honestly did not expect a very high level of customer service or workmanship when it came to purchasing this condo. I was blown away with how professional and friendly everyone have been throughout this entire process. All of the deficiencies were fixed before move in and within the first month. The customer service from not only Cardel staff but also the contracted companies has been top notch. I will 100% recommend Cardel to anyone looking to buy a condo or home in the future. And if I move again, I will look to Cardel first for where they are building! I feel the Visitor parking pass only being valid for 1 24 hour period is kind of ridiculous when most nights there is no one parked in the Visitor parking area and most visitors are from out of town and are staying for more than one night. I have absoluly no other input, all is outstanding. It's been a great experience....so Far!! So Cardel, build me a great condo! Nothing I believe the overall process is quite good. Dave Barton was great when dealing with my 1 year warranty issues. Judy-Lynn, Mike and Tim are so awesome to work with. We overall have had an amazing experience with Cardel. From the moment we walked into the show suite, while the condo was being built and through our first year we had the highest level of customer service. My only complaint in the sound transfer from the above floor. the condos beside us we don't hear anything from, but above we can hear pretty much everything they do. I understand that a part of condo living involves some noise, but thought there could have been a little more insulation so we don't need to hear everything they do. Very good. they answered all my questions and made changes for us. They gave double sink in bathroom. There was a price to it but looked after my wishes and they were always available. Darryl and Andrew were beyond knowledgeable and made my first time buying experience stress free and enjoyable. Cardel Sales team was very knowledgeable, accommodating and helpful in assisting us on the purchasing of our future condo unit. Overall, my experience with Cardel Homes has been excellent. I would recommend Cardell to anyone contemplating building a new home. I have been very pleased with the whole process as it was quite seamless. Some of the questions concerning parking and exterior I was not able to answer as this building is still a active building site but I expect to give it a favorable mark once finished. The townhouse is quite quiet, the only thing I hear is my neighbor running up and down the stairs. Not such a bad thing as it shows I am not all alone. :). I know that it will be very beautiful once all the building is completed. Very happy with my condo, and I really appreciate the way every person from Cardel lyfestyles tries to go the extra mile to help me out and respond to my concerns! I thought they were great. Sales centre was really helpful. Darryl and Andrew gave me a lot of help a long the way. It's been positive. We just wanted to say that the sales guy Darryl Folly was awesome, he gave top notch service! He also was the one to help everyone out when our fire alarms were going off in the building. I was unable to reach anyone using the 24 hour emergency service. All staff were very professional and friendly. Small details could acquire more attention. "We really have a very good experience with Reilly and Diane, they are both very friendly and professional, they make the whole process very smoothly for us and accommodate our schedules as much as they can. They were very responsive to our questions and issues. Thumbs up for them! Overall process of booking to possession and post possession as well is very nice. This is my second experience with Cardel. That says, I returned to Cardel for their quality work and good customer treatment. As a first time home buyer, I didn't find it to be an overwhelming experience. Daryl was very informative but not overbearing. I really liked Cardel's Design Boards because I could mix and match my interior finishes. I am please to do business with Cardel lifestyles. Special thanks to Darryl Solly for his help and professionalism. He's a great man to deal with. I recommend Cardel to friends and family.